The Massachusetts Division of Fisheries and Wildlife (MDFW) has a long history of using the best available science to inform conservation and preserve wildlife. 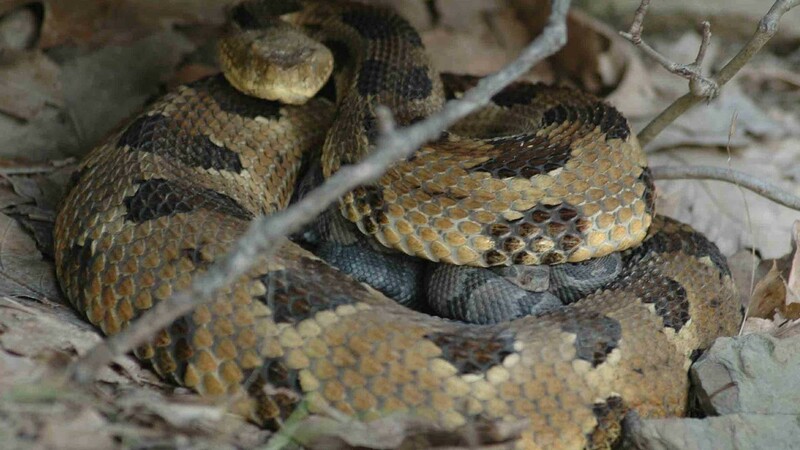 However, controversy over proposed efforts to protect timber rattlesnakes has resulted in a pending amendment to the Massachusetts state budget that would hamper MDFW’s ability to make independent conservation decisions now and in the future. A diverse coalition of biologists and conservationists support timber rattlesnake conservation in Massachusetts and their introduction to Mount Zion Island in the Quabbin Reservoir. We need to demonstrate both public support for the rattlesnake project, and trust in the expertise of MDFW so that the Conference Committee (who will decide which amendments to keep) will remove this amendment. Let’s let science drive conservation; let’s stand with science. Opposition, based on the usual fears and myths about snakes, has stalled the project. Senator Eric Lesser attached an amendment to the state budget that would put this project on hold for at least one year and require any future conservation efforts to be approved by the Massachusetts legislature. Typically, conservation decisions are made by MDFW; this amendment creates a precedent that could have far-reaching impacts on future conservation decisions in the Commonwealth. The bill is now in the hands of the Conference Committee who will decide which amendments to keep. We need to convince them to ditch this amendment, and let science drive conservation. Take a stand for snakes and science-based conservation. Urge the Massachusetts legislature to remove Senator Lesser’s amendment from the budget bill so MDFW can use their training and expertise to conserve timber rattlesnakes. Spread the word: #StandWithScience and Timber Rattlesnake Conservation in Massachusetts! Check out our FAQ and find out more. Tell Senator Bruce Tarr thanks for supporting rattlesnake conservation in Massachusetts! Give the Governor some gratitude for standing up for snakes!